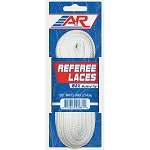 A referee's Closet gift certificate is the perfect gift for someone special. Other amounts are also available. 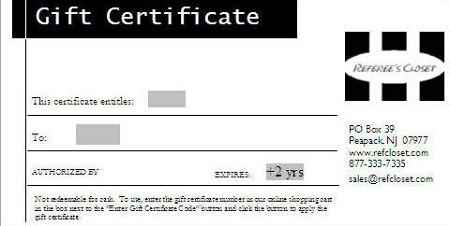 Upon checking out, an electronic gift certificate will be emailed to the recipient's address entered above. If you wish to have a paper gift certificate mailed to you or the recipient, please call us at 877-333-7335. The correct price will be displayed in the shopping cart based on the dollar value selected.